Sometimes Scotland overwhelms you with an incredible infusion of light, especially in winter when the days are short and the sun is a rare event in grey times. Light that sparks the joy of being. Just like that. Even on a graveyard. 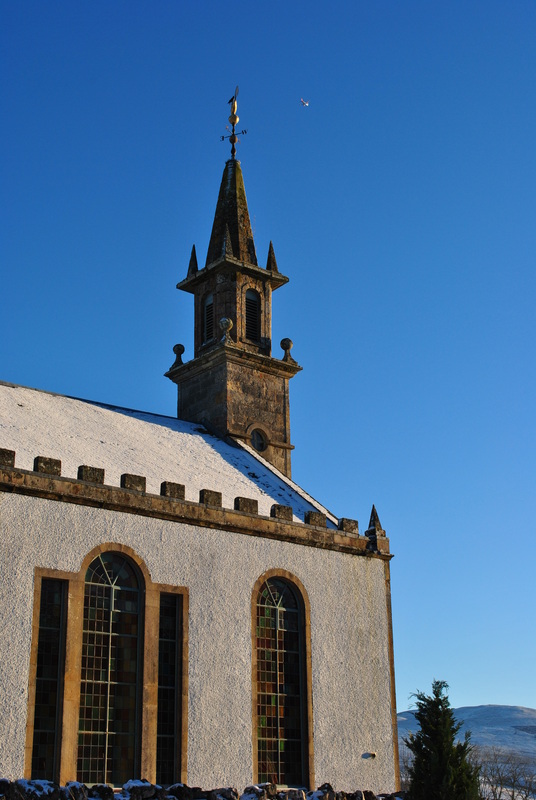 Daviot church on an afternoon in January can be breathtaking, in any other weather it might not even be impressive although the regular white washed building with the pleasing proportions and the unusual belltower hold beauty in themselves. 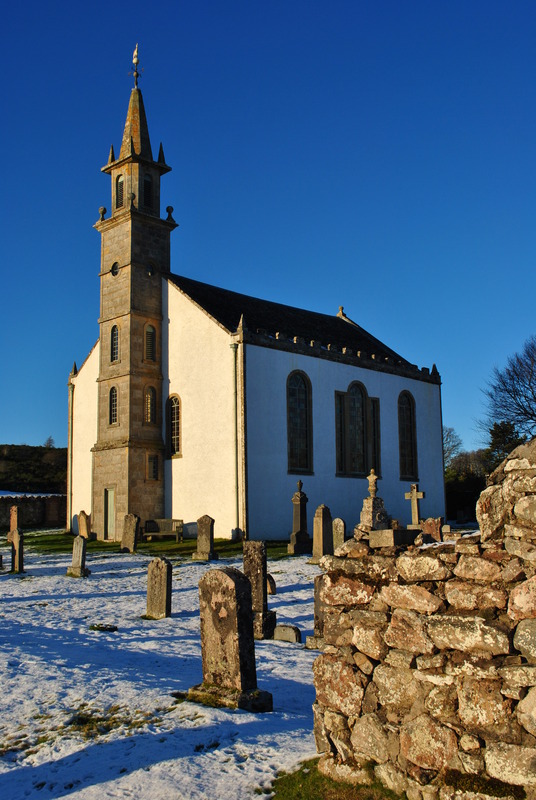 Daviot is old, the church first mentioned in the early 13th century. 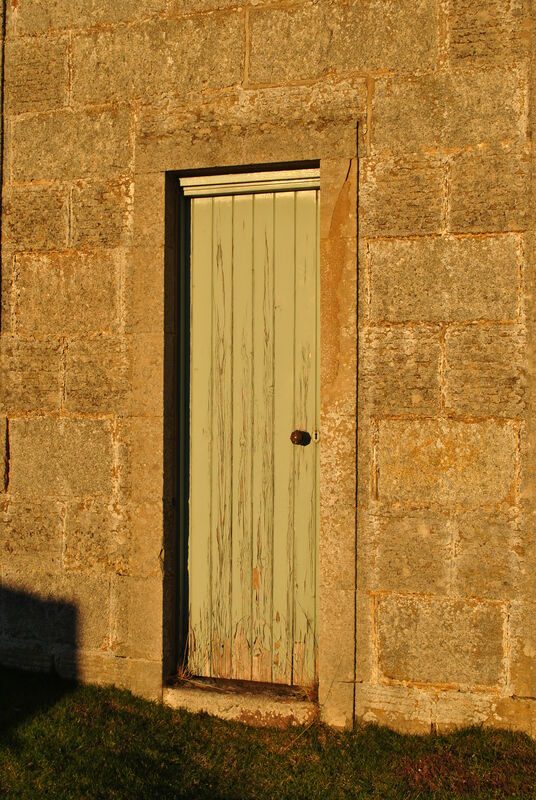 Today’s church is rather young in comparison, it was built by the river Findhorn in 1826. The A9 passes close by. It is quiet though. 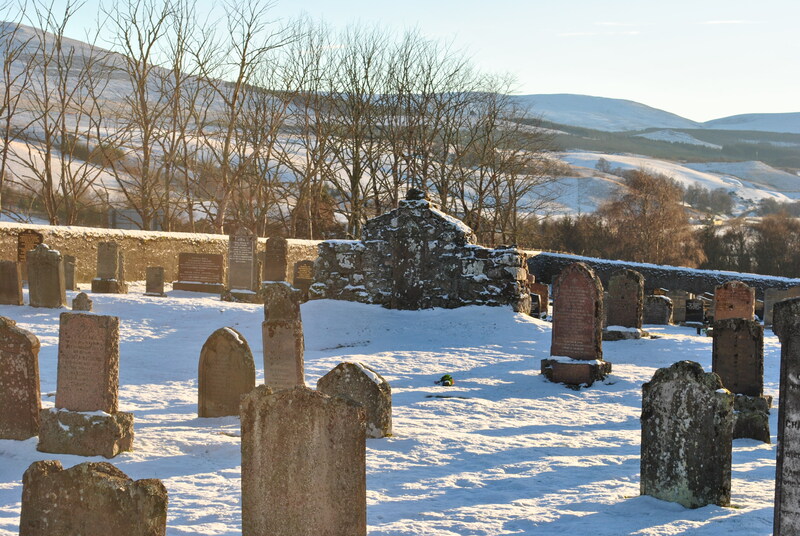 The bright winter sun on a clear Scottish day sings of beauty and life, even in a graveyard on a winter’s day. (2) Scotland Sunshine Statistics. 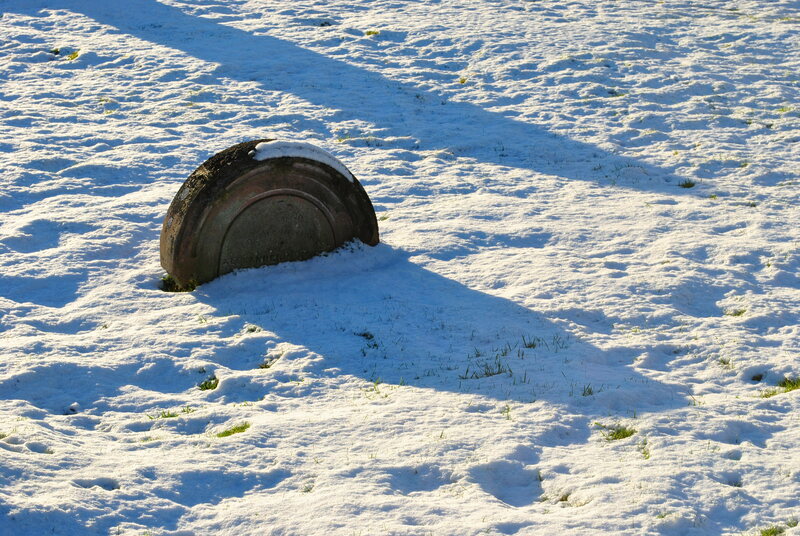 Met Office. 2008. Archived from the original on 11 October 2008. Retrieved 7 July 2008.